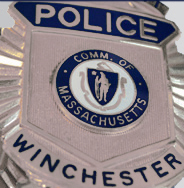 In September 2009, the Winchester Police Department became one of only 30 departments in Massachusetts to earn its accreditation a distinction that not even the Mass State Police can claim. The process was overseen by Chief Albertelli as he worked along with Lt. MacDonnell to receive state certification, which was the first step prior to accreditation. The certification and accreditation process meant shifting the department’s policies and procedures to fall in line with those established by the Commission on Accreditation for Law Enforcement Agencies (CALEA). Lieutenant MacDonnell, who was assigned as the accreditation officer, essentially revised, rewrote and created more than 300 uniform policies and procedures in order to meet accreditation standards. Those standards must be continued by the department in order to maintain accredtation status and are evalutaed every three years by CALEA. The Winchester Police Department is committed to continuing to live up to the strict accreditation standards in order to better serve the community.